The person whose signature, oath, or acknowledgment is being notarized MUST personally appear to the notary at the time the notarial act takes place. Document must be signed in the presence of the notary – don’t sign before your appointment! 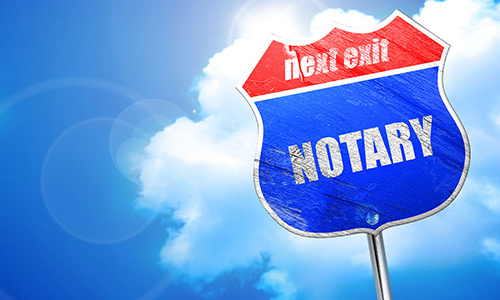 If there are two or more owners listed on a title, they do not have to have their signatures notarized at the same time or by the same notary, but all sellers’ signatures must be notarized. The Montana Motor Vehicle Division will not accept a title with information that has been in any way corrected or crossed out. If an error is made by the signers, a Statement of Fact will have to be completed and filed with the Title. Successfully navigate the complex world of healthcare, building collaborative relationships between providers and hospitals, and pursuing shared strategic programs and services. As a leading member-driven organization, Monida Healthcare Network will engage its hospitals and providers to implement processes and programs that improve our communities' population health, control costs and improve healthcare quality. Monida Healthcare Network is a Physician Hospital Organization (PHO) providing services from healthcare staffing, medical billing, provider credentialing, payer contracting, medical peer review to malpractice insurance at a group rate. The U.S. Department of Labor released the final rule raising the minimum salary an employee must make to be exempt from overtime. Learn more by visiting the DOL website. The HHS Office for Civil Rights (OCR) has begun phase 2 audits of covered entities and their business associates has begun. Make sure your organization is prepared by visiting the HHS website.